Watch ball by ball live scores for all APL T20 matches here. The first ever season of the Afghanistan Premier League will be played in 2018–19 in UAE, a T20 competition that is expected to take the world by storm. And why is that? Because Afghan cricket, as was evident in the recent World Cup Qualifiers and Asia Cup has been on an ascent and some of the biggest talent in the country could be on display in this competition. Tune in to watch the amazing Zareen Khan perform in the opening ceremony of the Afghanistan Premier League. Since this is the first season of the Afghanistan Premier League – or APL as we call it here – the cricket board of Afghanistan has decided to go for just five franchise-based sides. These teams will be located in Balkh (called the Balkh Legends), Kabul (Kabul Zwanan), Kandahar (Kandahar Knights), Nagarhar (Nangarhar Leopards) and Paktia (Paktia Panthers), with each team facing off against each other twice. 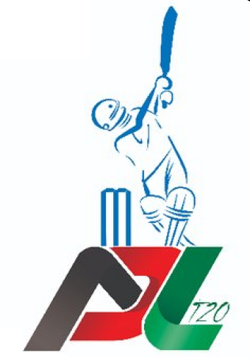 And if you are looking to follow the Afghanistan Premier League live scores, text commentary and results, we have it all in here. The Legends will be led by Mohammad Nabi, an Afghan all-rounder and a legend in his own right. Rashid Khan, who recently turned 20, is already on his way to becoming a world legend, not just an Afghan great and he will be captaining Kabul, while New Zealander Brendon McCullum has been given the reins of Kandahar. Nangarhar will be captained by Andre Russell while Paktia will be led by Pakistani great Shahid Afridi. Speaking of Pakistan, not a lot of Pakistani cricketers are featuring in this competition because of a withdrawal of the NOC offered by the PCB, but that doesn’t mean the interest for this Afghan T20 league has died down by any stretch. Among the other players who will be in action during the Afghanistan Premier League, there’re Chris Gayle, Luke Ronchi, Mujeeb ur Rahman, Mohammad Shahzad, Colin Munro, Colin Ingram, Asghar Afghan, Ben Cutting, Cameron Delport, Ryan ten Doeschate, Wayne Parnell, Sam Billings, Mitchell McClenaghan and Luke Wright. Follow the entire Afghanistan Premier League below with live scores and our own comments below. Feel free to comment on what you think could happen or your opinion about the games from October 5, which is the first day of the competition. Get live cricket scores & commentary for all APL 2018 league below. Afghanistan Premier League 2018 points table will be automatically updated below after each match. Depending on which country you are in, your local broadcaster will telecast it on your TV. However, you can watch the APL tournament online as well.